Are you someone who always ties your hair back, and have trouble keeping your hair in place or making the perfect bun? Do you have to pull it back for your job? Maybe you're in the military, or a dancer, or work in the food industry, or a busy mom... Whirl-a-Style was invented for you. I would like to say thank you to them, as they were kind enough to send me their Jumbo Medium Whirl-a-Style for review. At the time that I had agreed to review the product, I had long hair past my shoulders. It was stringy and just hung there. It had no style, no body, and I was constantly breaking clip after clip trying to keep my hair off my face and shoulders. I ended up cutting my hair above my shoulders, in a layered bob. I was a little sad later, when I realized the size I received was for my long boring hair, and not my present style. I knew I was planning on chopping my hair off, but I forgot to let them know. I did get to test the product on my boyfriend's niece, and had fun styling her long hair. I'm sure her mother is grateful for this invention, and I will have to get myself another one of these in a smaller size! They have various different styles and colors of the Whirl-a-Style products to meet your needs. Whether you would like to match your hair color or try something a little more fun to match your outfit, they have plenty to choose from. If you are interested in purchasing their products, they sell them directly on their website, or you can search their store locator to see if they are available in your area! 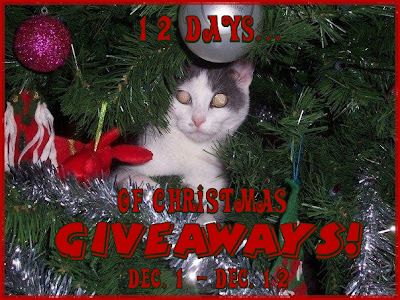 Keep an eye out during the holiday season because Whirl-a-Style , has sponsored my '12 Days of Christmas Giveaways'! One lucky person will get the opportunity to win their very own Whirl-a-Style! I received the Whirl-a-Style , in exchange for my honest opinion, and a review of my experience. I did not receive any other compensation or incentive nor was I required to write a positive review. Individual results or experiences may vary.